A review of a brand new monograph on Barbara Stanwyck, which rather than being a biography is a manual to her acting career, has recently been published here on 25fps. 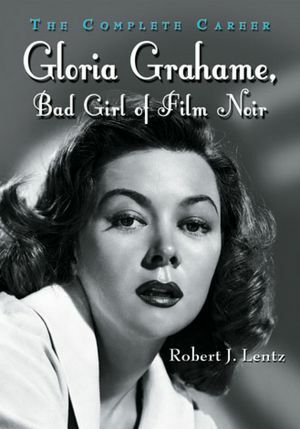 In a book published last year by McFarland & Company ‒ Gloria Grahame, Bad Girl of Film Noir: The Complete Career ‒ Robert J. Lentz approaches the acting legacy of her younger colleague Gloria Grahame (real name Gloria Hallward, 1923–1981) with a similar ambition. As Lentz mentions in the prologue, it was not his aim to compile a traditional biography of an actress, for he claims, that „too many biographies focus on a performer’s private life while ignoring what made that person famous in the first place“. 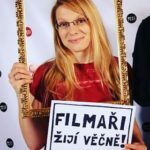 (p. 1). He points out the fact that even Suicide Blonde: The Life of Gloria Grahame by Vincent Curico from 1989, a much-valued biography of the actress, includes factual errors and inaccuracies in terms of her film career. Lentz’s goal is, on the other hand, „a comprehensive analysis of the film and television work of the beautiful and talented actress Gloria Grahame“. (ibid). As with his monograph on Lee Marvin from 2006, Lentz understands his Gloria Grahame monograph as documentation of the actress’s work for film and television. He applies chronological analysis to all the 39 feature films in which Grahame appeared between 1944 and 1981, while providing complete data about the film crew, a detailed synopsis and a commentary on its place in film history. 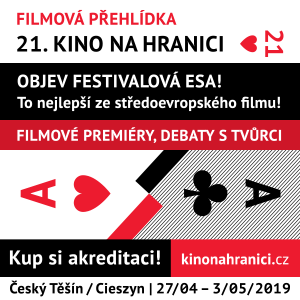 In some detail, he also dissects the actress’s performance and is interested in how not only these films but also offers of other projects influenced or, more precisely, could have influenced the path of her career. Moreover, he reflects on her private life on the background of every production, as he presents a brief and accurate biography on the first ten pages of the book. In individual chapters, the author focuses on Grahame’s feature films as well as on the so-called „soundies“: three-minute black and white films with musical and dancing parts, in which Gloria Grahame performed between 1943 and 1944, and also on her work for television, where he reflects upon her parts in television series and miniseries. Finally, he summarises her whole filmography (ordered alphabetically according to production and distribution companies), adds a list of her theatre roles and mentions short film career of her elder sister Joy Hallward (1911–2003). He expands the final obligatory bibliography and index with a specialized, thorough bibliographical list of all published articles, reviews, analyses, features, interviews, photographs and simple mentions of Gloria Grahame that have to do with a particular film. We can infer from the above-mentioned the unquestionable importance of Lentz’s book in terms of research of the available published material. Individual texts are accompanied by appropriately chosen film stills that perfectly capture the nature of the roles which Grahame played in her films. The author’s endeavor to consider every film of Gloria Grahame to the same degree, even though she only played a supporting role in many of them, necessarily leads to a certain lack of consideration of the actress’s importance for a particular film. Before the reader arrives at an analysis of her performance, he or she has to wade through often-several-pages-long synopses, production histories, deliberations on her directors‘ careers and on the process of casting the other roles as well. For instance, in a thirteen-page account of Capra’s It’s a Wonderful Life the parts about Gloria Grahame take up only a fragment of several paragraphs. The encyclopedic nature of Lentz’s book and the author’s continual detours from the actress’s personality towards broader contexts disrupt the reader’s ability to concentrate and practically make it impossible to read the text consistently. On the other hand, it must be noted that it might be on account of these broader contexts that Lentz’s book may be valued, for he successfully contemplates the changes in Hollywood and its audience on the background of particular film analyses (evidenced in the actress’s shift from film noir of the 40’s and 50’s to the exploitation films and low-budget horror films of the 70’s). Lentz’s book naturally poses the question of the extent to which a choice of films conditioned in this manner (that is by performance of a particular actress) is functional, as the excess of information on production histories and wider contexts in an encyclopedically organized book greatly exceeds the nature of the auxiliary text and de facto dwarfs the main object of the author’s attention ‒ Gloria Grahame.